UPDATE: The missing woman has been found. 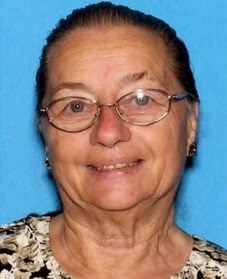 WEST MELBOURNE, Florida -- The Brevard County Sheriff’s Office is actively searching for 77-year-old Eleanore Boye of West Melbourne, Florida. Mrs. Boye is a white female, approximately 5’2" tall and weighs 130-135lbs. with salt and pepper colored hair and hazel eyes. She was last seen this afternoon at approximately 1:30 pm at the Acorn Mini Storage located at 3546 West New Haven Avenue. She is traveling in her silver 2005 Hyundai Elantra bearing Florida tag #K768BH. Her current clothing description is unknown. Anyone with information is asked to please contact the Brevard County Sheriff's Office Communications Center at 321-633-7162.